I do love to burn candles quite regularly because I think they always create such a lovely atmosphere. Especially scented candles that fill the house with gorgeous aromas. I was lucky enough to be contacted by Barenaturals and they sent me their Enchantment Votive candle to try and also one of their Organic Lips Balms in Peppermint. If you’ve not heard of Barenaturals, they have world friendly products and they are on a mission to plant trees in areas of deforestation. For every purchase someone makes on their website, at least one tree is planted. I think that is so great to know that when you make a purchase, you are actually helping to plant trees. Contributing to a brighter future for generations to come. David and Darcey are fully committed to be a part of the change that is needed to reduce plastic consumption and to use the awesome power of plants to heal, restore and revitalise the world. 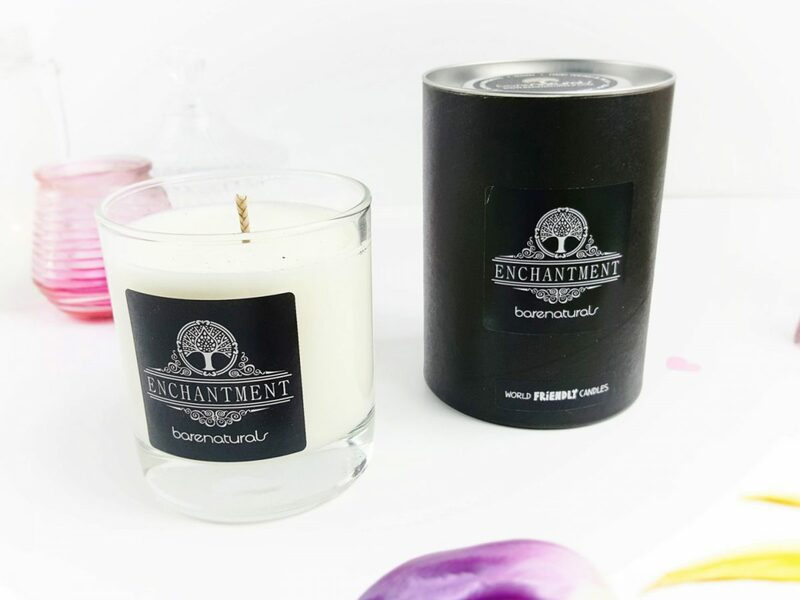 Enchantment Votive Candle £28.00- I absolutely love the packaging that this candle comes in. 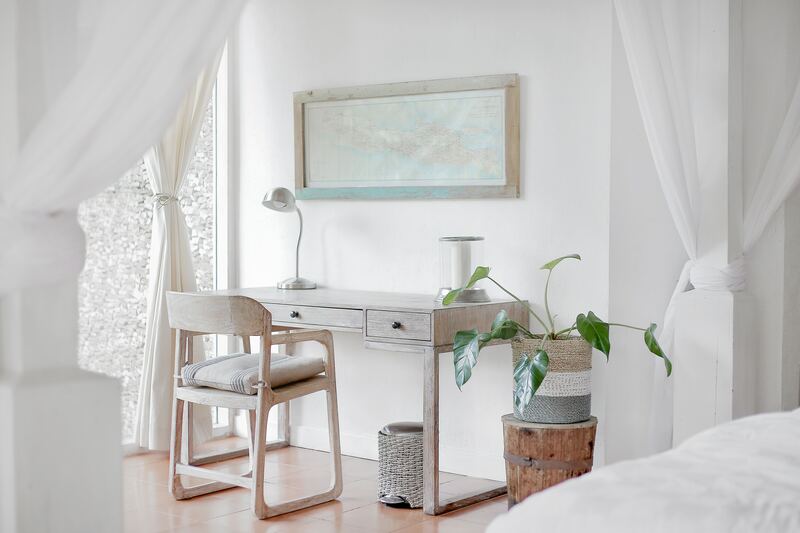 Just really simple, elegant design that just adds that touch of luxury to it. Once upon a time there was a darkness across the land. An evil power had cast a dark spell over the people’s hearts. Making them cold and uncaring. But our brave hero lit an enchanted candle. Scents of geranium and lavender swirled in the air. A warm glow began to shine forth so brightly the darkness melted away. The land was healed, trees grew, flowers bloomed, birds began to sing, the hearts of the people beat with joy once again. And our hero, well, it was love at first sight! Everyone lived happily ever after. The End. It has a really great burning time of over 40 hours too, which is just fantastic. The scent it gives off is really lovely thanks to the aromatherapy oils that are infused in it. When its burning the scent really does permeate the air and fill it with such a beautifully soft fragrance. Whilst it is scents of geranium and lavender, I actually think it smells like Rose Turkish Delight. Either way, it’s a really beautiful fragrance. Also good to note, is that Barenaturals candles are all made by hand using non-GMO soy wax & the finest plant-based luxury aromatherapy oils. This beautiful Votive candle would make a perfect gift for anyone. 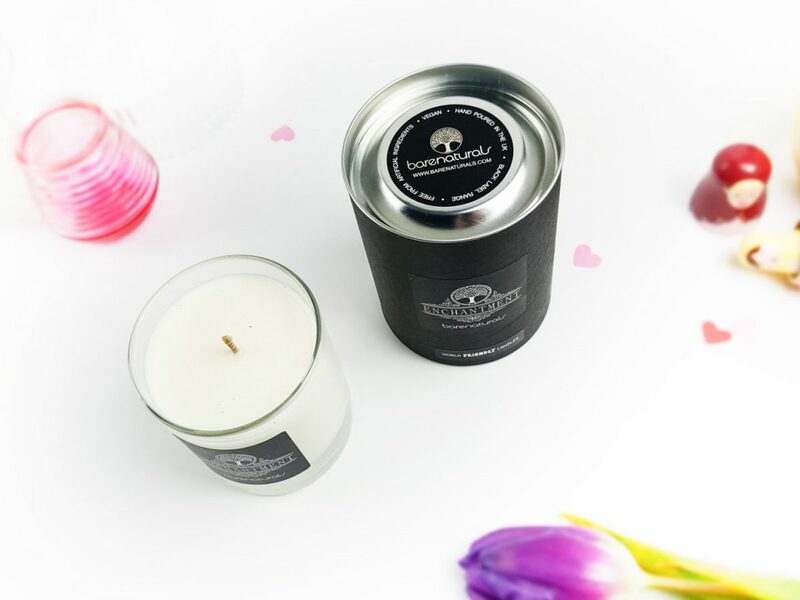 I also think that any of these beautifully packaged Votive Candles would make a fantastic gift for Mother’s Day. 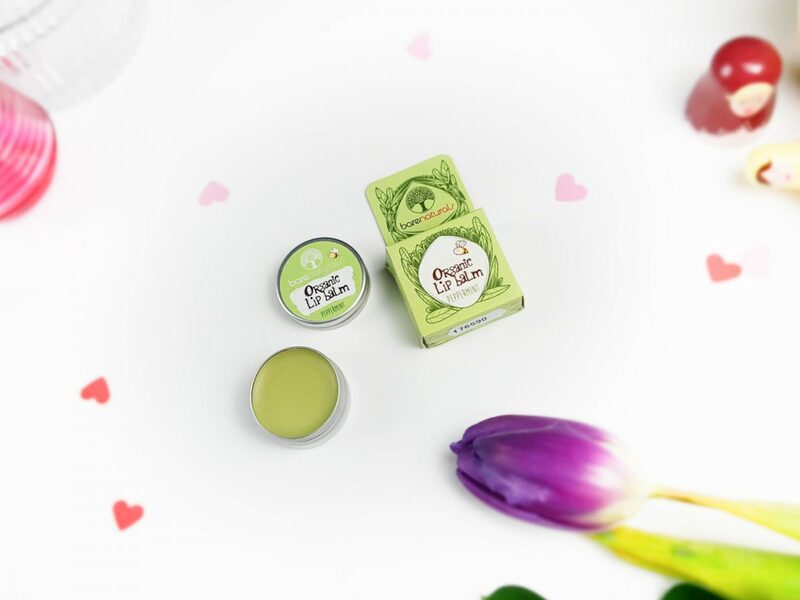 Organic Lip Balm ‘Peppermint’ £3.99 – This time of year I think most people’s lips suffer from the cold weather and central heating. Our lips become incredibly dry and cracked. They really need extra help and care to keep them nourished and hydrated. Packed with organic ingredients such as ‘magical marvellous powers of hemp’, ‘sweet coconut’ and ‘calming jojoba’, plus peppermint oil. It really keeps your lips hydrated and nourished. Repairs any cracks, leaving you with soft, kissable lips. The peppermint is cooling, soothing and refreshing on the lips too. I love the cute packaging. For some reason, I always feel that lip balms in tins do a much better job of moisturising my lips. All in all, just a really fantastic lip balm. The quality of the two products I received for review were extremely high. Both were well presented and beautifully packaged. Each of them were very well made. They both also contain high quality, organic and natural ingredients too. Not to forget the trees that get planted when purchasing these…or any other items from Barenaturals! You definitely feel the quality of the Votive Candle. It has a long burning time and you can really smell the gorgeous aromatherapy oils that have been used in it. 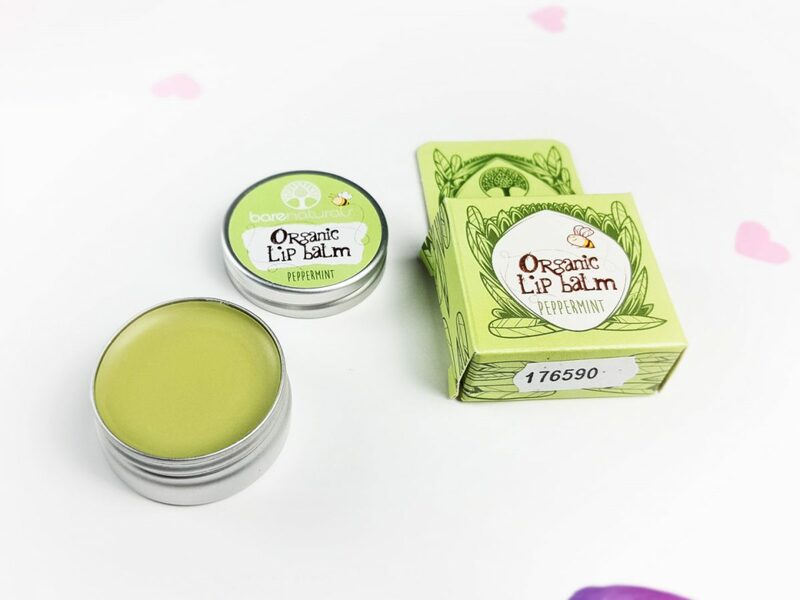 Likewise for the Organic Lip Balm. You can actually smell and taste the peppermint quite well. It’s not just a subtle hint. Plus, the hydration and nourishment you get from the lip balm, is very long-lasting. I found I didn’t have to re-apply this lip balm as much as I would have done with others I have used in the past. Barenaturals have plenty more items in their store. So if you love natural products and want to support a fantastic company that’s doing more than its bit for our future generations, definitely check out their website. You can find more candles, lip balms and some rather gorgeous soaps too! You can also get 10% off by using my exclusive code: BOXNIP at checkout.